As more online cheating crimes happen, there was a need to address the rise and educate the public on these frequent scams. One challenge was to help the public question and identify the signs of a possible scam so that they will not fall prey to these cunning deceptions. 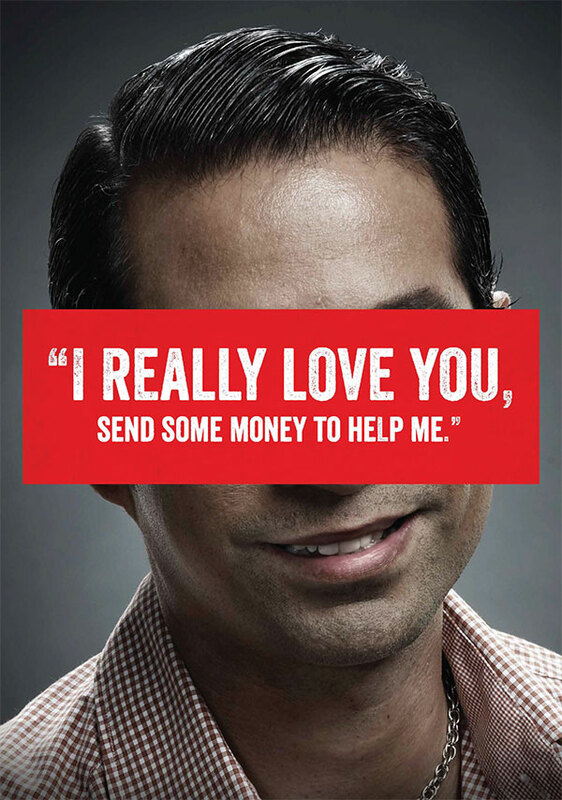 The campaign plays on the common lines used in these scams to trigger recognitions in the mind of the public when they find themselves targeted as victims. 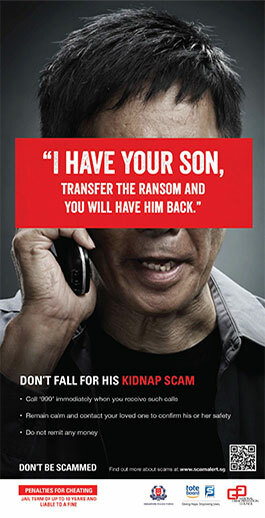 These messages are widely communicated through outdoor media in bus stops, train stations and lift lobbies. 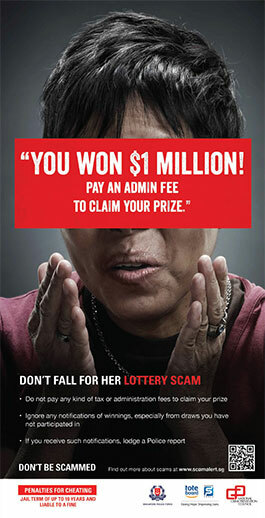 An online site provides more help on identifying scams.